A truly adventurous expedition to a remote and wild region of the Great Himalayas, with full logistic support - this is a journey that seeks a different route, a fresh perspective, a challenge. From Kathmandu, the majestic backbone of the Himalayan glides our wingtips as we head east for Tumlingtar. Beyond here our trekking route follows a great are, rising north onto the ridges of Num and sweeping slowly westwards into the uninhabited heartland of the world's most spectacular mountains and passes. Fly to Tumlingtar which is an hour flight. Here your trekking crew will meet you and a bit of briefing about the trail, then start walking up to Khadbari (1,040 m). Have lunch break in the shade of Kabra Trees. We walk north towards Khandbari, and then begin walking on a plateau for around 45 minutes after the trails climbing gradually to Khandbari. We camp above the village. Stay overnight at tented camp. After breakfast walk through many small picturesque villages most of the time the walk is uphill and you will be walking through bamboo groves and a rhododendron forest. Our camp is at Chichela a small settlement of Gurungs at 1,830m. Stay overnight at tented camp. Today we start walking with views of snow capped peaks in the distance. Fantastic views of Makalu and its surrounding peak. Walk on a striaght path, with little ups and downs, through forest to have lunch at about 2 hrs and then start descending to reach Num. Stay overnight at tented camp. The trail today descends steeply from Num through the Cornfield of Lumbang. The country is particularly rocky; tiny terraces planted with corn and barley, then we have tough steep climb to Sedua. Stay overnight at tented camp. The trail crosses meadows and several streams, then climbs to the Sherpa village of Tashi Gaon, the last permanent settlement in the valley. Stay overnight at tented camp. A very hard day of the trek as the trail goes up real steep. We walk through the sparse forests along the ridge over a hillock and descend a bit to Kauma at 3,470 m. Stay overnight at tented camp. Today is a rest day as well as acclimatization day. Stay overnight at tented camp. We again start today with a steep climb then through less steeply rhododendron forests to the top of the ridge. You will have superb views of Chamlang (7,290 m) Peak 6 (6,739 m) and Peak 7 (6,105 m). Then we will have a final descent through a forest of firs and rhododendrons to Mumbuk. Stay overnight at tented camp. The trail today turns westward and leaves the rhododendron forests for alpine tundra. There are excellent views of Pyramid Peak (7,168 m), Peak 4 (6,720 m) etc. Sherson is at 4,615 m a bit dangerous day as the altitude gains more than 1,500 m but we don't have a choice because we do not have any suitable camp between Nhe Kharka and Sherson. Stay overnight at tented camp. 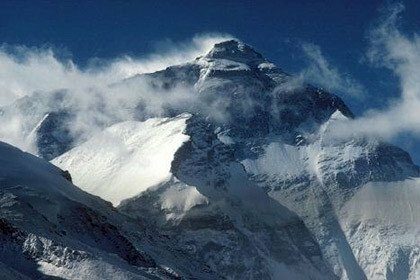 Today is a gradual climb to a minor pass about 100 m . From here you will have a magnificent south face views of Makalu also you will be able to see the complete panorama of Everest and Lhotse. Stay overnight at tented camp. DAY 14: EXPLORE MAKALU BASE CAMP, Stay overnight at tented camp. DAY 15: TREK TO HILLARY BASE CAMP, Stay overnight at tented camp. DAY 16: TREK TO HIGH CAMP, Stay overnight at tented camp. DAY 17: EXPLORATION/REST DAY, Stay overnight at tented camp. DAY 18: TREK TO SHERPANI COL, BARUNTSE BASE CAMP, Stay overnight at tented camp. DAY 19: TREK TO WEST COL, Stay overnight at tented camp. DAY 20: TREK TO PANCHE POKHARI, Stay overnight at tented camp. DAY 21: TREK TO PANCHE POKHARI, AMPHU LAPCHA CROSS, Stay overnight at tented camp. Chhukhung (4,730 m.), lies directly under an incredible rock wall that links Nuptse with Lhotse. From here you will also have magnificent views of Amadablam (6856 m.), probably the most photographed mountain in Nepal. Stay overnight at tented camp. Follow the main Khumbu Valley down to site of the Himalayan Rescue Association's Trekkers' Aid Post and continue to Dingboche. Stay overnight at tented camp. The trail continues through meadows where yaks graze. 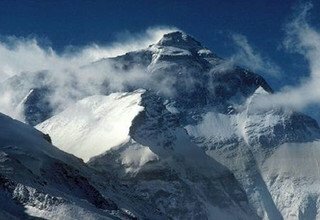 In the distance you can glimpse the summit of Everest, girt by the impressive rock walls of Lhotse and Nuptse. Start by passing by a spring, and then continue slightly takes you to Tengboche, the cultural heart of Everest. Stay overnight at tented camp. The trail descends to the right flank of the Dudh Kosi and then leads to the large Sherpa settlement and then ascends to the Namche Bazar. Stay overnight at tented camp. A complete rest day at Namche to explore its attractions. Stay overnight at tented camp. Down along the gorge of the Dudh Kosi to the village of Phakding. Stay overnight at tented camp. Continue ascend to the small mountain airstrip at Lukla to catch your return flight to Kathmandu. Weather permitting your trekking crew might prepare a farewell treat for you. You would be expected to join in the singing and the dancing! Stay overnight at tented camp. * 3 nights ccommodation with breakfast at Standard hotel in Kathmandu. * Domestic flight ticket KTM/Tumlingtar and Lukla/KTM and airport tax. * Makalu Barun National Park Permit. * Climbing Sherpa's equipment charge and his insurance, salary.